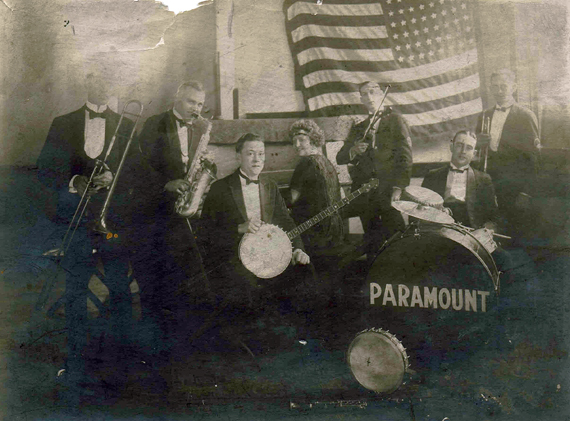 At various times there were small bands that played music in and around East Liverpool. This is one such band. Unfortunately we don't know much about it except for the names of those in the band. We are not sure of the time period though maybe the 1920s. The members: Piano - Gladys Larkin, Trombone - Alan McKeever,, Drums - Ed Stivason, Violin - Paul Gruber, Banjo - Drex Scott, Sax - Jim Reese, Trumpet - Pittenger or Mellott. Picture courtesy of Frank Dawson, From the Frank Dawson personal collection of photographs. 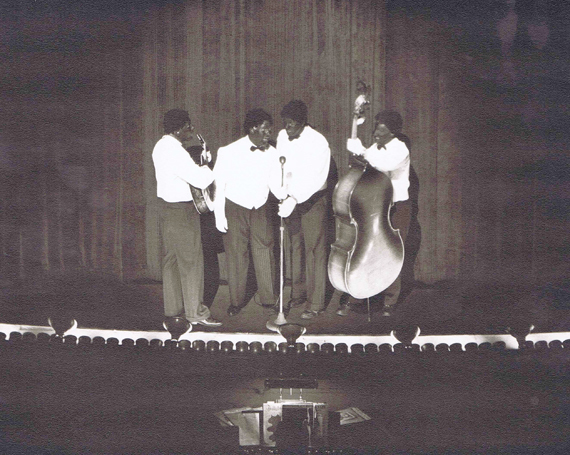 Blackface band performing at either the Ceramic or State theater. Frank Dawson Photograph collection.